Elisabeth-Gateff-Prize 2012 - gfgenetik1s Jimdo-Page! 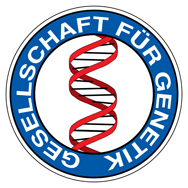 2002–2006 BSc and MSc Biology, Universities of Ulm and Konstanz. 2006 MSc thesis (Diplomarbeit) Diplomarbeit at the University of Utah, Salt Lake City, USA. 2007–2011 graduate student with Prof. Dr. K. T. Hughes, University of Utah, and Prof. Dr. W. Boos, University of Konstanz.